NAPD, through its Systems Builders Committee, works to strengthen the quality of public defense delivery systems throughout the country. 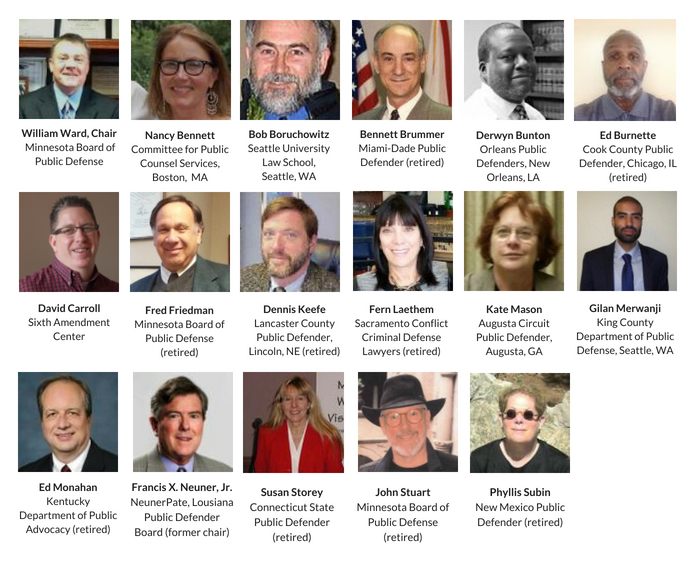 The Systems Builders Committee is comprised of current and retired defender leaders, public defender board and/or commission members, and system advocates representing a range of experiences and perspectives on public defense issues. Our mission is to assist leaders who are building excellent, client-centered public defense programs, through training, consultation, collaboration, and on-site technical assistance. Systems Builders recognizes the needs of an organization are often unique and varied depending on the design of the public defender delivery system as well as the constitution of its staff. As such, the Systems Builders Committee approach is to tailor its support to a wide range of audiences, including boards, commissions, defender offices, state defender associations, practicing lawyers, investigators, managers, leaders, community groups and funding authorities. The Committee has published two position papers: "Qualifications of those Selecting Public Defense Leadership" and "Qualifications of those Serving as Public Defense Leadership". Further, the Systems Builders Committee is prepared to offer technical assistance for the "Merit-Based Selection of a Public Defense Leader." As part of our overall efforts to strengthen the quality of public defense delivery systems, the Systems Builders Committee has established a Mentors Program for Executive and Manager Leadership. This program is available to any new or veteran public defense leader who seeks a mentor to address professional and personal challenges in creating or enhancing a client-centered best practice public defense program. Mentors will be arranged after consultation regarding office size, structure, delivery system and challenges to address. If you are interested, please send an email to Systems Builders Chair William Ward. Systems Builders also supports a "Virtual Cup of Coffee with a Colleague" which is an informal opportunity to get together brainstorm, seek advice, vent or offer assistance. For more information on resources available from NAPD or to discuss the availability of in-person or virtual support, please contact William Ward, Chair of the Systems Builders Committee or Ernie Lewis, Executive Director of NAPD.